'Bud's Run', at the University of Birmingham raised over £7,000 recently, bringing the annual event’s overall fundraising total to £87,000. This was the fifth year that Bud’s Run has taken place and it supports charity Parkinson’s UK’s pioneering research to find a cure for the condition. More than 400 runners took part in the 5km on the day which also included a 2km run for under 11s. Bud’s Run is the brainchild of former UK Athletics Marathon Coach Bud Baldaro, who was diagnosed with Parkinson’s in 2009, and has been based at the University for over a decade. 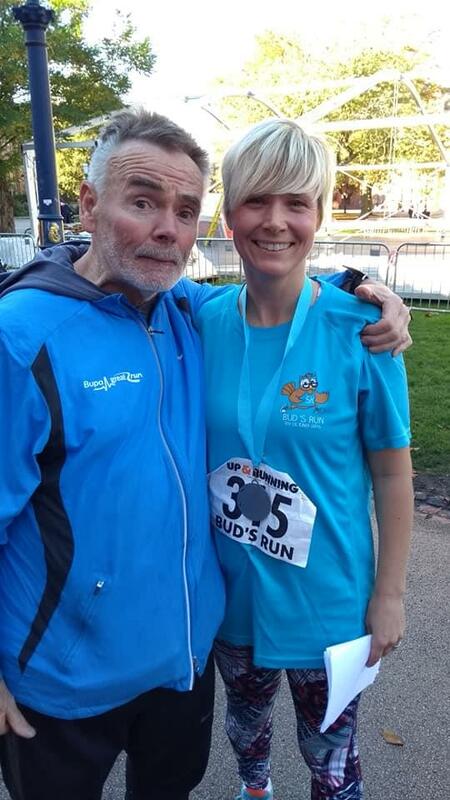 Bud’s Run is a popular event, with previous runsattracting athletics stars such as world marathon record holder Paula Radcliffe, middle distance legend Steve Cram, and Olympian Sara Treacy. The event was supported once again by 1500m World Championship Silver Medallist Hannah England. Parkinson’s UK estimate that there are more than 40 symptoms of the condition. As well as the most widely known symptom - tremor - these range from physical symptoms like muscle stiffness to depression, anxiety, hallucinations, memory problems and dementia, but Parkinson’s affects everyone differently. It affects 145,000 people in the UK – which is around one in 350 of the adult population. For advice, information and support, visit www.parkinsons.org.ukor call our free, confidential helpline on 0808 800 0303.